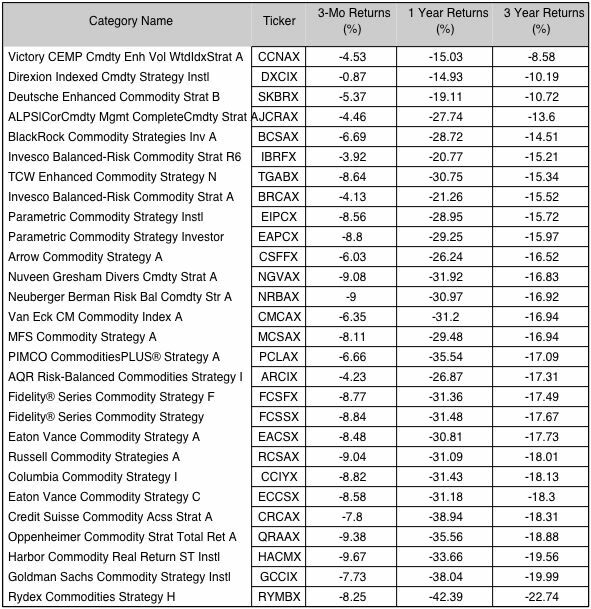 Commodities and their related ETFs are free-falling. After a brief period of calm during the past few months, major commodities are sinking once again. From metals to energy to agriculture, every segment of the market remains extremely weak.The Bloomberg Spot Commodity Index, which is weighted based primarily on trading volumes, this week hit the lowest levels since the financial crisis and is down 16.2% year-to-date. Retired seniors should avoid investment in commodity mutual funds or ETFs. None of the current offerings are attractive.